Cherry Crumble. The very name sounds delicious, doesn't it? 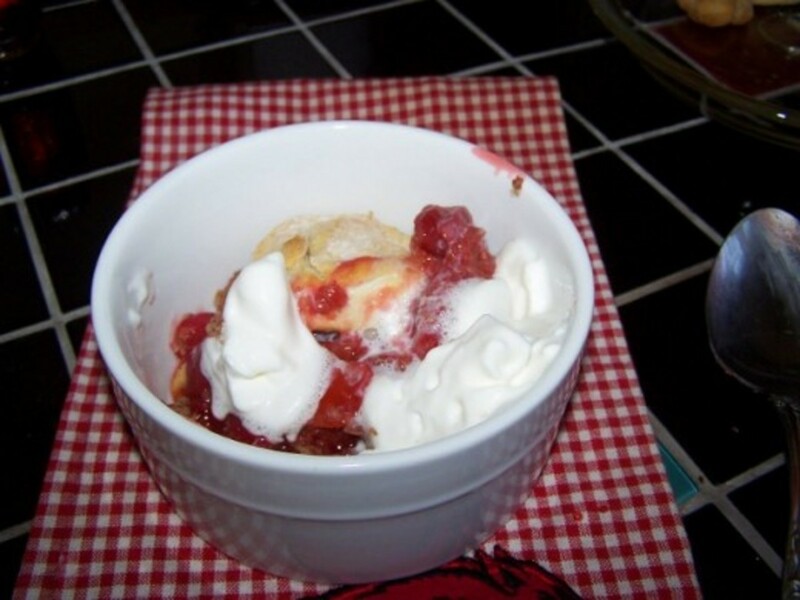 This lens shows you how to make a cherry crumble with a step by step fresh cherry crumble recipe. I've been making cherry crumble for about 4 years now, as we are lucky enough to have a cherry tree in our garden which bears delicious fruit! Is it a beautiful mature cherry tree that has a late, May blossom, and the prospect of getting to pick cherries from it when we first moved in was very exciting! A bit of research ensued, whereby I discovered that when the cherries went a nice deep red, they would be ripe for picking. The other piece of advice that was repeated over and over was to net the tree to keep the birds away, otherwise I may well wake up to a bare tree one morning. But I am one for sharing the fruit of our garden with nature, so I took my chances. I am pleased to say that the birds happily got two clusters while we got the plentiful majority! 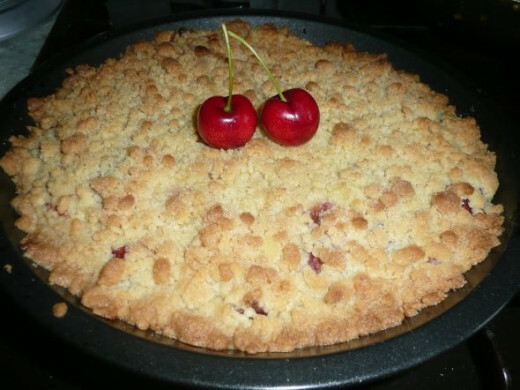 So, without further ado, read on for my famous homemade cherry crumble! All content is original work written by the author of this page. Please DO NOT copy this elsewhere either in print or online. All photos are copyright of the author or licensed from JupiterImages Corporation unless otherwise stated and may not be used without permission. 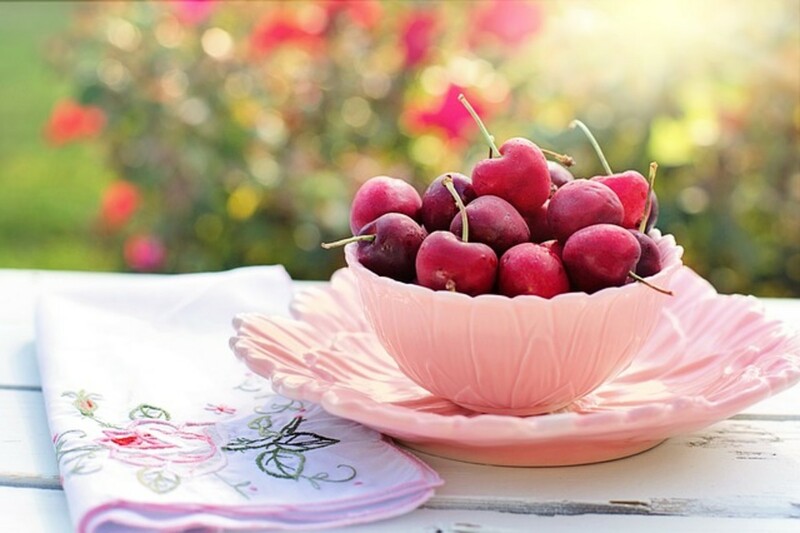 Cherries date back a long way - cherry pits have been found in Stone Age caves! In an old English carol, Joseph and Mary were walking in a cherry orchard when Mary asked Joseph to pick her some cherries. 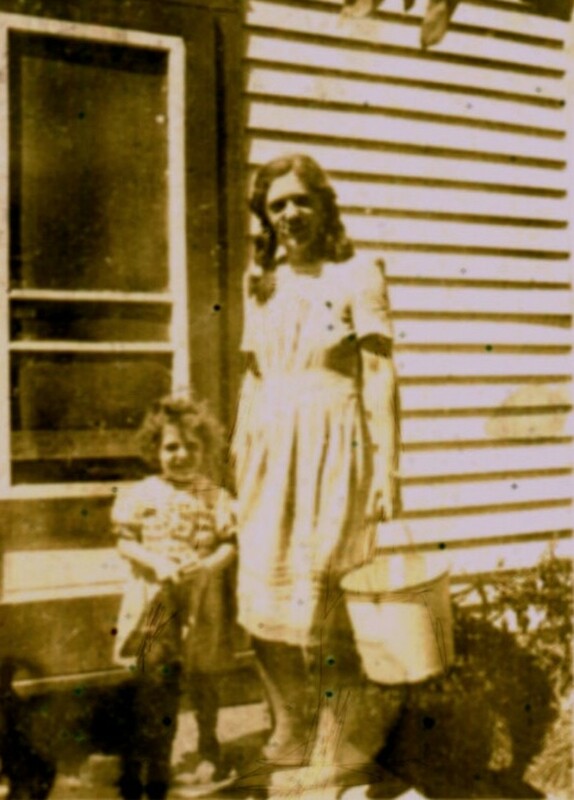 Joseph replied that she should get whomever 'brought thee with child' to pick the cherries for her. The unborn Christ child is then said to have communicated with the cherry trees, asking them to lower their branches so Mary could pick her own, leaving Joseph suitably repentant! Making the Crumble for your Cherry Crumble! Crumble was one of the first desserts I learned how to make (apple and blackberry to be precise), and I still use the first recipe I tried - it came from The First-Time Cook by Sophie Grigson and always turns out delicious. Mix together the flour, salt and sugar in a bowl. Dice the butter into small cubes, and add to the bowl. Rub in with your fingertips, until you get a coarse breadcrumb-style mix. You could use a handy kitchen gadget to do this for you but I quite like the process of rubbing in - it doesn't take too long and it can be quite therapeutic! If making the mixture ahead it can be chilled in the fridge. Do you Love Fruit Crumble? And have you made one before? I love crumbles in general - mixed berries, apple, apple and blackberry, rhubarb... but there is something decidedly special about a cherry one. Whilst there is no doubt that freshly-picked cherries have the upper hand, you can of course make a perfectly delicious crumble using cherries from the supermarket. If you are using freshly picked ones, you don't have to make the crumble right away. They will keep in the fridge for several days. 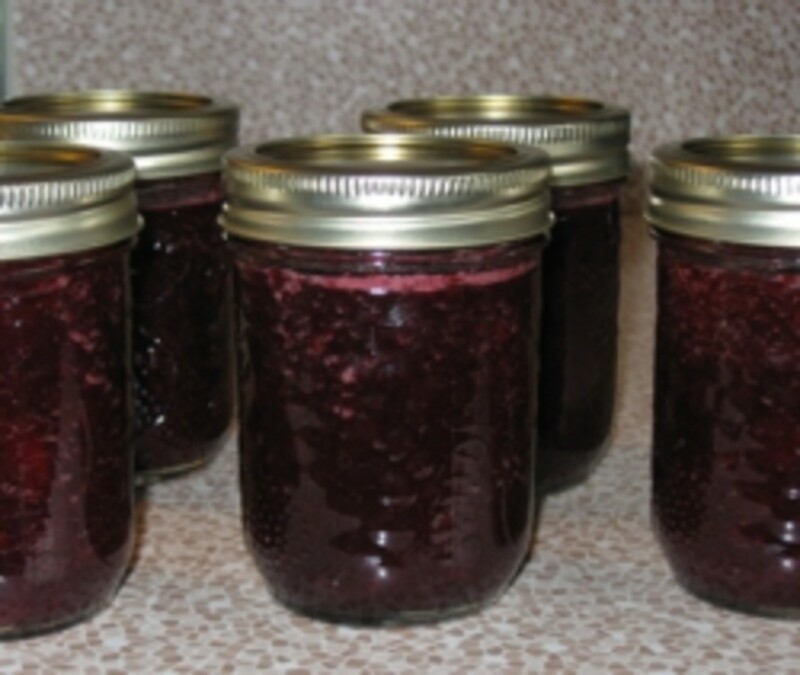 I put mine in a Lock & Lock container and they tasted fresh and delicious even after a few days of storage. Are you Going to Make this Cherry Crumble Recipe? Being a summer fruit, cherry crumble goes best with a nice scoop of vanilla ice-cream, in my opinion. I love the collision of hot and cold on the tongue! Of course, you can opt for custard or cream if you prefer. I kept a few cherries aside to decorate the crumble with, topping the crumble itself with a cherry duo and popping one on top of each serving. Planting a cherry tree and growing your own fruit each year is very rewarding. One of the best books on how to grow, tend and harvest your crops is Grow Your Own Fruit by Carol Klein. Anyone who has seen her on the BBC programme Gardener's World will know how enthusiastic she is about gardening, and her books are just as inspiring. I like to share my cherries with the birds - do you? Cherry tree orchards such as the one above are a rare sight now, sadly, as modern techniques have taken over and seen the beautiful blossom orchards disappear. So all the more reason to love my cherry tree! 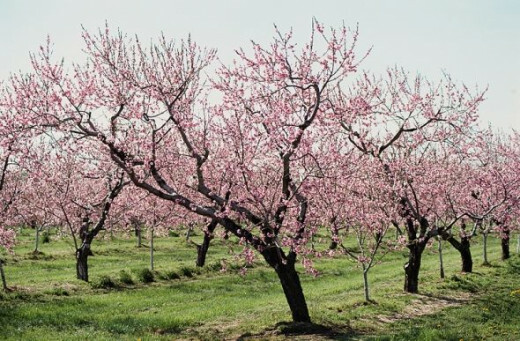 Not only can we pick delicious fruit from it, but spring really wouldn't be spring without the beautiful burst of pink and white blossoms that appear on the cherry trees each year! Tell me about it here, leave feedback on this lens, or just leave a note to say hi! My Ashley Judd Mistake. Her Recipe For Biscuits. My Recipe For Easy Drop Biscuits. Have YOU Made Cherry Crumble? - Or are you going to? Loved the lens! I could really use some pie right about now! Baking is so lovely. @Lady Lorelei: Thank you, hope yours is too! Glad to hear you share with the birds as well! :) I'd much rather enjoy the increased wildlife than keep all the fruit for ourselves! 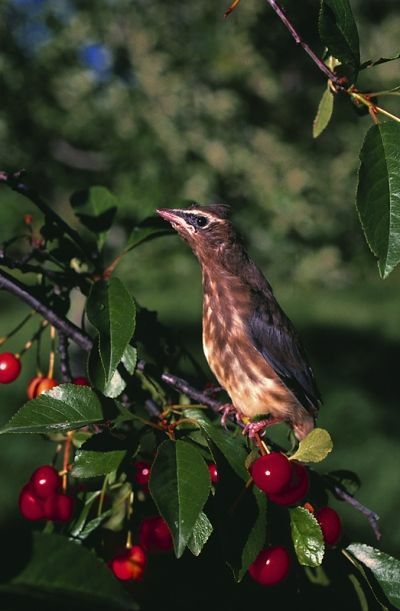 We have 2 cherry trees and we also share are cherries with the birds who visit. Blue jays and crows are our most common visitors to the dark cherry tree. They take turns visiting and generally only eat a couple berries each trip in. 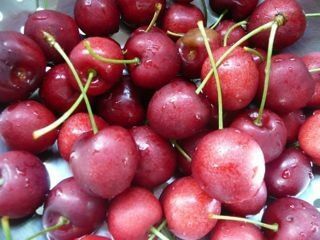 It is nice to see them there and yes we still have plenty of cherries left over for us as well should I choose to make your Cherry crumble recipe. Hope your New Year is wonderful. 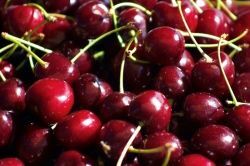 Great Cherry Lens...very detailed info re cherry recipes. Love it ! This sounds absolutely delicious! Thanks for sharing! Blessed by a SquidAngel! Not yet but I'm going to give it a try. This sounds and looks amazing. Thanks for sharing! Looks terrific. 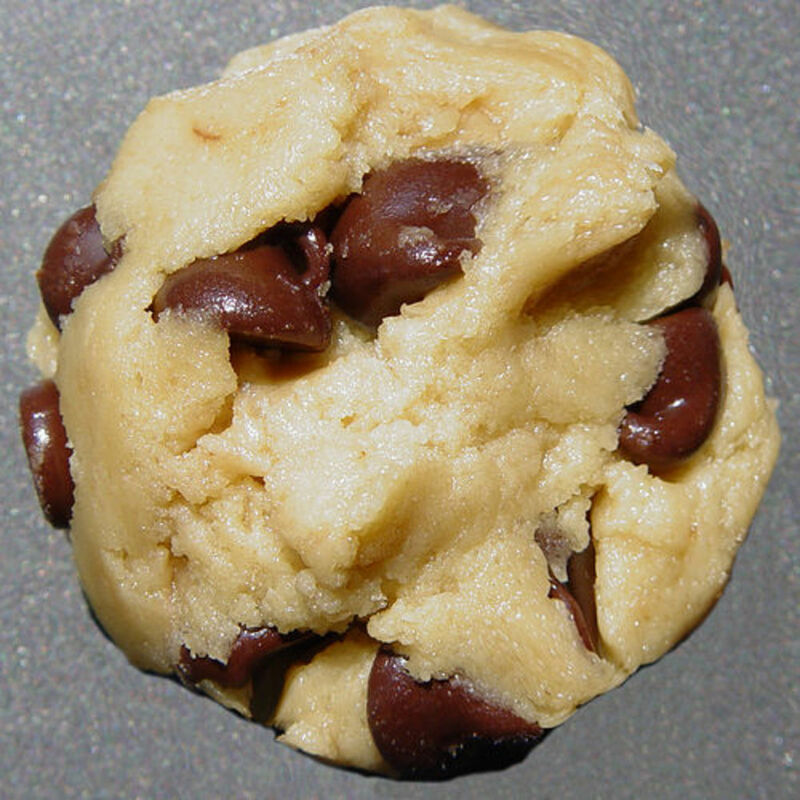 I wonder if this recipe could serve as base to make crunchies (with nuts maybe)? I have had cherry crumble before, but never made it. Now that I have this lens to help me, I will definitely try it. I make this all the time but I put some rolled oats instead of all the flour and a little brown sugar makes its extra yummy! Looks super delicious and much easier than making pie. I love cherry crumble and made a lens about it several years ago. Our cherry trees are still babies and we will get about 6 cherries this year - woohoo! I followed your recipe, but slightly altered it to make 4 individual crumbles. I must say it was easy and absolutely fabulous. Thanks for the inspiration! Thanks for sharing this lens. Cherry is one of favorites. I am so trying this recipe! Fun lens! Another delicious success thanks to Sophie Grigson. Maybe its of interest that a few hundred of her other recipes on the web are listed on Panjoy.com - pick her name from the dropdown list thing, and only Grigson recipes will be searched. This looks so delicious! Thanks for the recipes! I love cherry crumble! Yum! Mmm, love cherries and fruit crumbles so you've got me with this one! Now, you've done it! My diet just went south, thank you very much! Wish I had my own cherry tree. I dearly love fresh cherries and can't wait to try this. I don't know what WOWs me more... this delicious looking crumble OR the fact that you have your own cherry tree. Very cool!